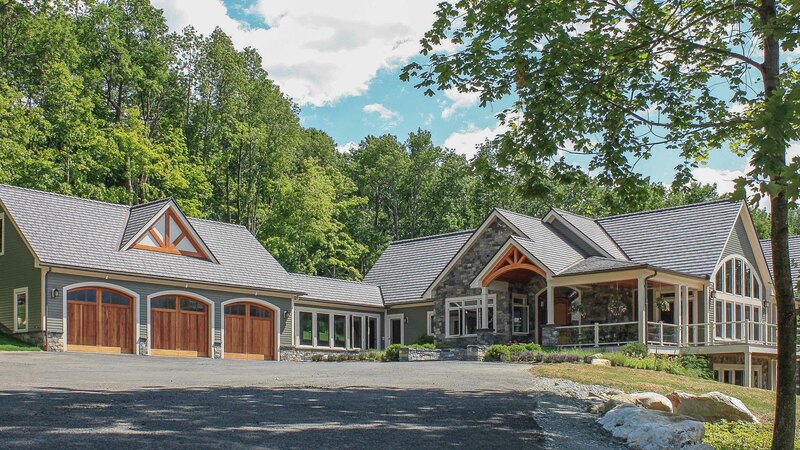 The Daignault Residence is in Adams, MA. 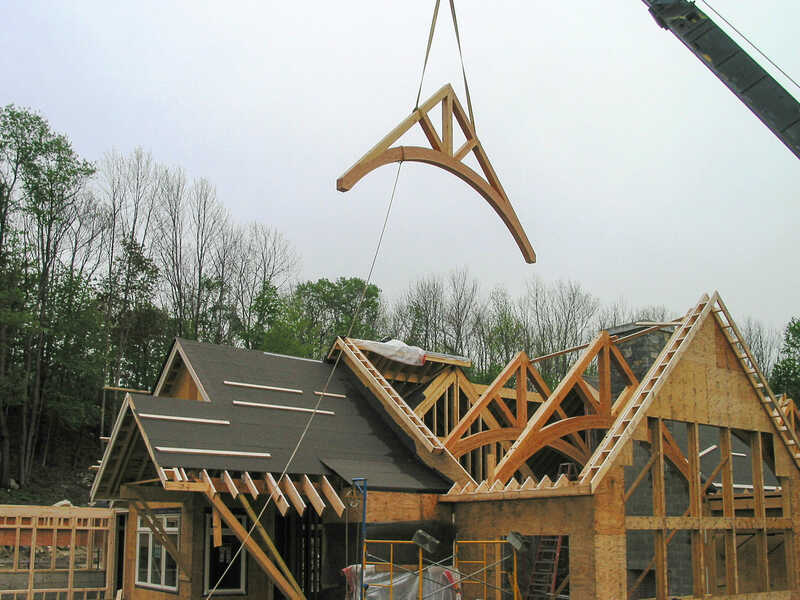 Vermont Timber Works provided modern glue-laminated trusses for this residential client. 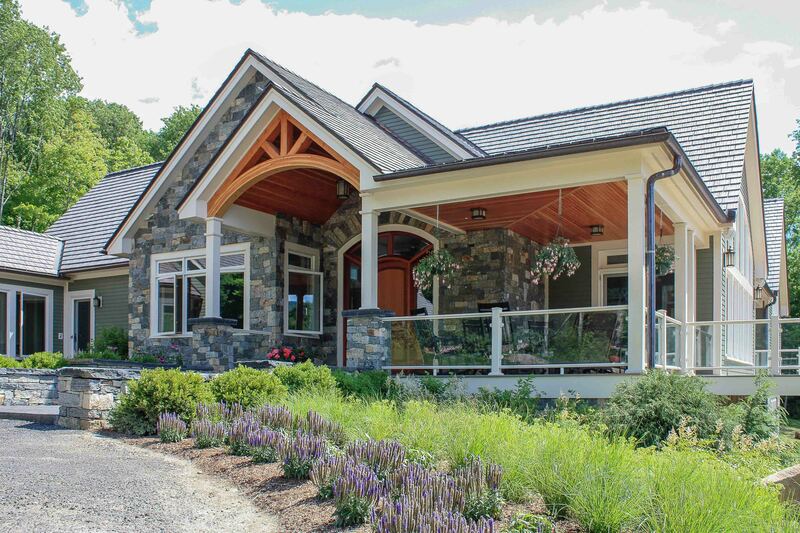 We worked with Jim Turgeon General Contracting and Westall Architects on this project. Westall Architects also photographed the home. 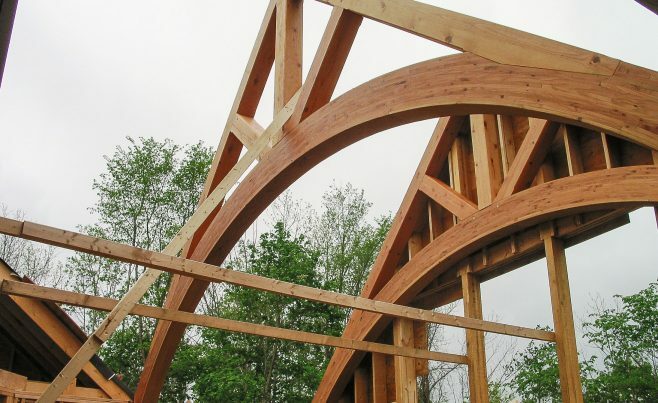 All of our timber is handcrafted to meet exact project requirements, and we enjoy working with our clients to make sure the details – from design to finish – are just right. 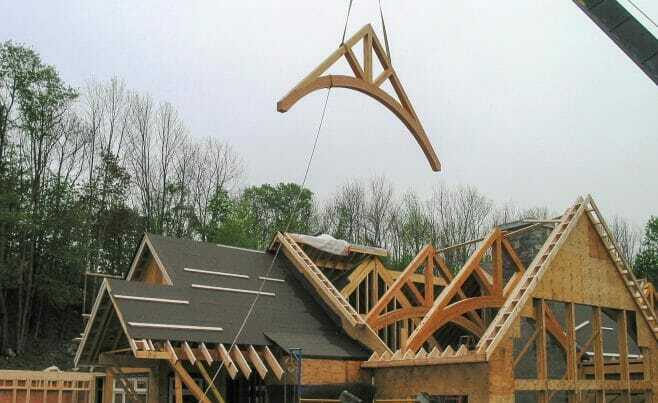 With over 26 years of experience designing, engineering and building custom timber frames, we can assure our clients that our frames are the best in the industry. 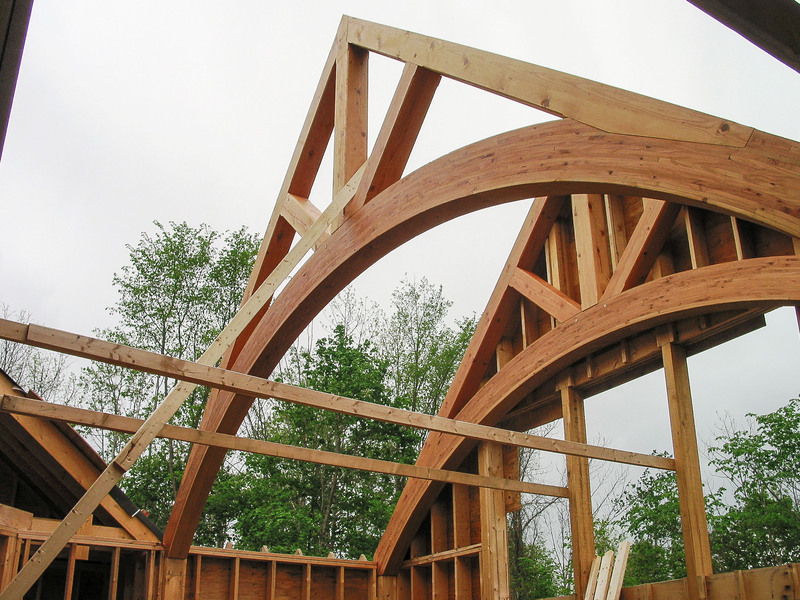 If you like these timber trusses, or have timber work questions, we invite you to get in contact or ask an expert! 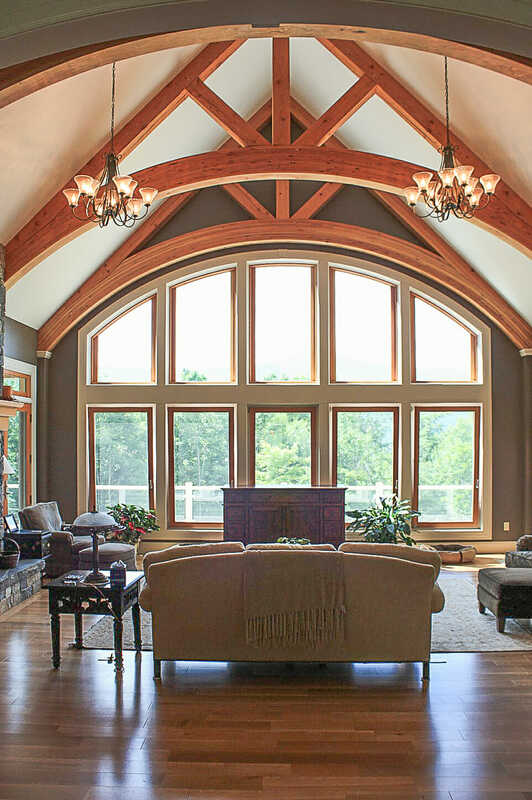 The interior of the home shows off the decisions that were made early in the design process, like, which species of wood to use and the truss design. 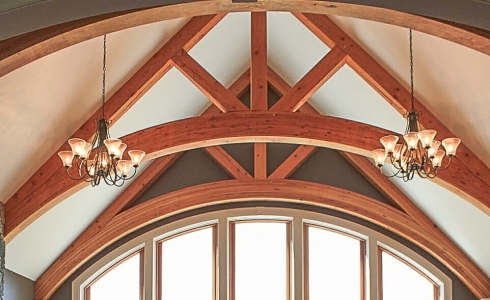 The beams in this home are Douglas Fir, and the trusses have a beautiful arched bottom chords, which were constructed using glue-laminated timber.